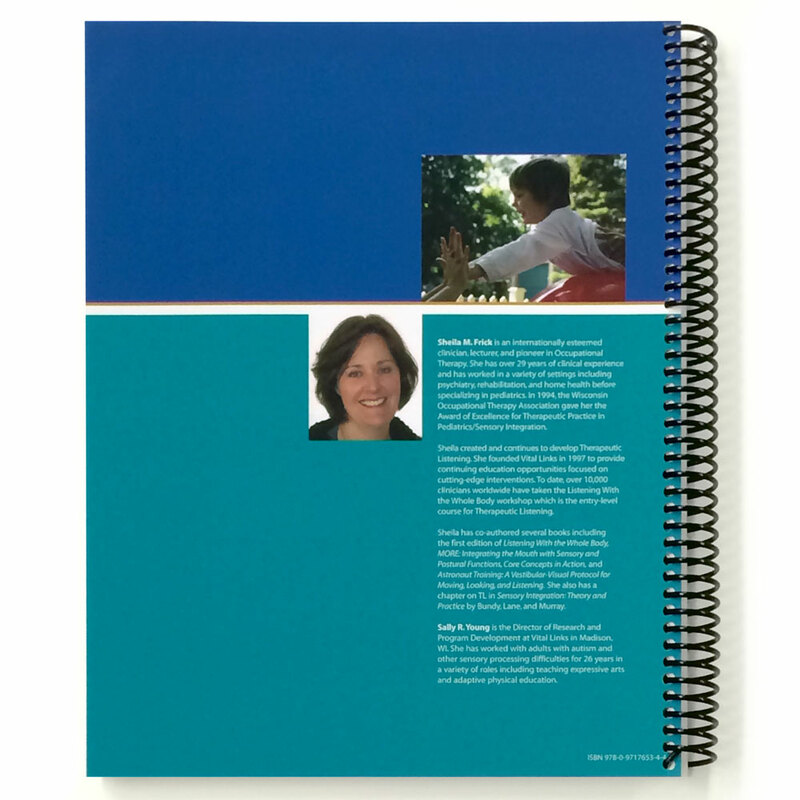 The concepts presented in this book are meant to accompany other training options for those interested in the clinical practice of occupational therapy and sensory integration. 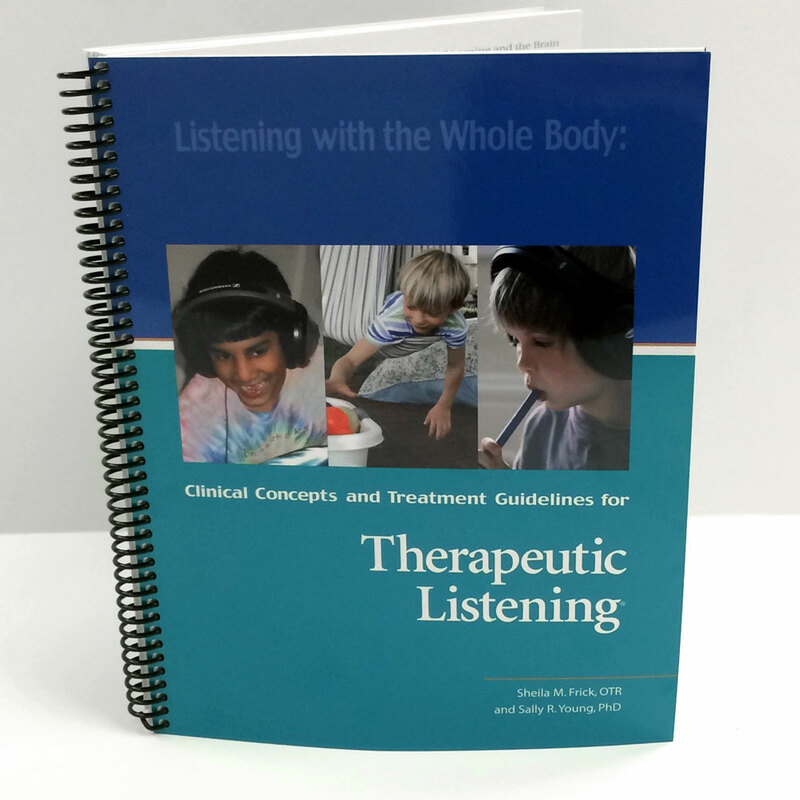 The focus of this material is on using listening as a tool to help struggling kids and adults organize their inner world and their outer experience. 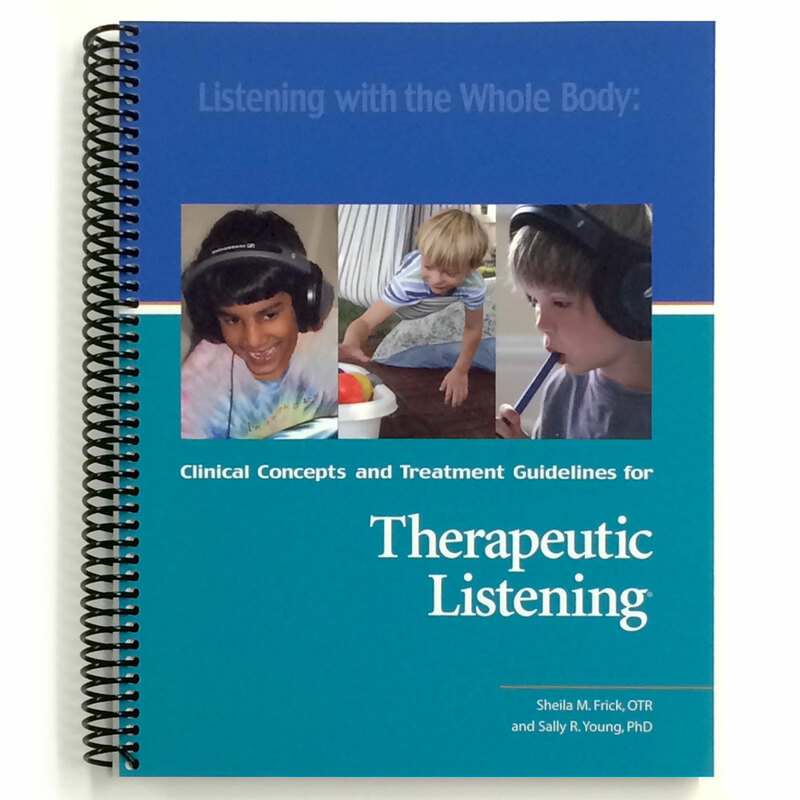 Therapeutic Listening is original work nested in a solid professional tradition. Always the emphasis is on personalizing the work to the needs of a particular client. Sheila Frick and Sally Young have done successfully that which is the hardest task in applied research. They have taken to heart the maxim: Ideas should be as simple as possible – but no simpler! They have made complex materials accessible without compromising the integrity of the ideas. Therapeutic Listening stands as an insightful and fascinating approach. With this book, you will receive instructions on how to access the Award-Winning video, Auditory Transduction, by Brandon Pletsch; which takes you on a step-by-step animated voyage through the pathways of the ear, to the accompaniment of Beethoven’s Ninth Symphony. Interested in learning more about Therapeutic Listening? This book accompanies the course, Therapeutic Listening: Listening with the Whole Body. Attend an upcoming offering of this course and gain first-hand knowledge from the creator of Therapeutic Listening and her dynamic team of instructors. Register for the course and receive the book for a special rate of $49!